Know The TRUTH, Protect Yourself! 1Private criminal databases will NOT report an expunged record to an employer. PRIVATE CRIMINAL DATABASES: These are for profit databases that gather your criminal information (and other information such as phone numbers, addresses, etc. ), package this information into segments, and then sell it to interested parties, such as an employer running a criminal background report on you. 99% of criminal background checks done for employment are ran through a private criminal database. Fortunately, we have federal and state laws that protect us from these private databses showing inaccurate information about us. Under California law an expunged criminal case is not allowed to be shown on a criminal background check ran for employment purposes. Furthermore, California law mandates that these private database companies must first verify, with the court from which the criminal record originates, any negative information about you before delivering your criminal report to a potential employer. Thus, under California law your expunged criminal case will not be shown on your criminal background report, period. Any company or law firm that is selling a service to "expedite the updating of criminal databases" after the expungement process is either not aware of California law, or might simply not have your best interest at heart. Why would you pay your hard earned money for a service you don't need? 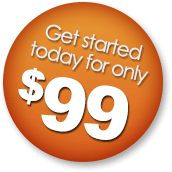 2State Agency Databases update within 30 days automatically, for free. This cannot be expedited. STATE AGENCY DATABASES: These are criminal databases controlled and ran by the state. There are two levels of databases in California (A) the city / county level, which consist of your county superior court systems, and (b) the state level, which consist of the Department of Justice's (DOJ) master criminal database. The DOJ collects its information from all of the county superior court systems in California. The DOJ database, which is where your official California rap sheet comes from, will be updated automatically by the court following your expungement, and must be done within 30 days. At the county superior court system level, the court website, and the court's internal records, are often updated the same day the expungement is granted by the judge. No company, or law firm, can update the records in these State Agency Databases, no matter how much money you pay them. The state databases are updated automatically, and quickly, by law. The private databases, which are used for 99% of employer ran criminal background checks, cannot report an expunged case to an employer AND they must first verify any negative information on your background check with the state databases before providing your background check to an employer. You are protected and covered, and need not worry about criminal background checks after expungement. Any company selling a service to update your record after expungement, is not being completely honest with you, period. 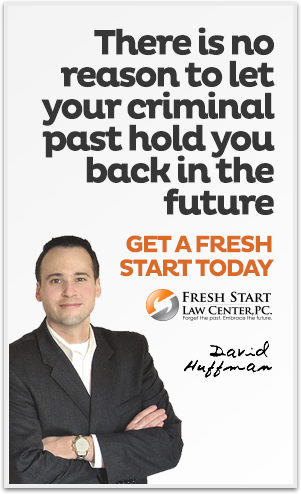 At Fresh Start Law Center we pride ourselves on always being upfront and honest with you. We treat you like family and strive to always have your best interest at heart. You work hard for your money and you should not allow a company to scare you into paying for services that you do NOT need! You are protected under California law, and it is important that you know your rights. Please do not hesitate to reach out to us if you have any questions.